Long story short, ARP firewall. It automatically adds gateways to the whitelist on connect and blocks everthing else to avoid potential threat. 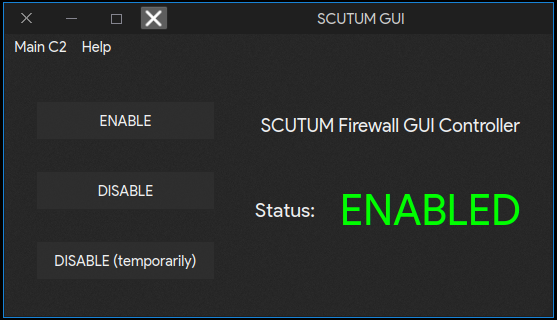 SCUTUM is an ARP firewall that prevents your computer from being ARP-spoofed by other computers on LAN. SCUTUM controls "arptables" in your computer so it accepts ARP packets only from the gateway. This way, when people with malicious intentions cannot spoof your arp table. 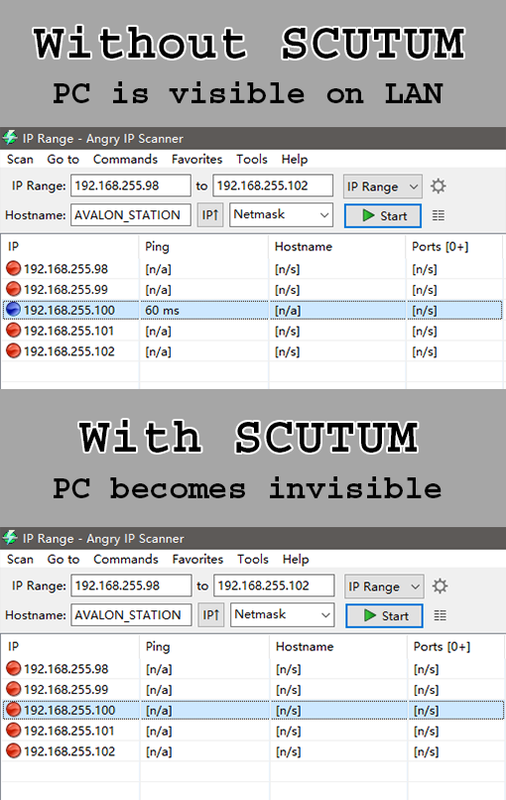 SCUTUM also prevents other people from detecting your device on LAN if SCUTUM is used with properly configured TCP/UDP firewall. SCUTUM is also capable of handling tcp/udp/icmp traffic with iptables. You can choose to enable this feature during installation. However, a more professional firewall controller like UFW is recommended. They can handle traffic with more precision. You should run a installation before running it for the first time for setting up configuration files. I am not sure if portable version is necessary. If you think this should be changed, raise an issue and I will change it.